Traveling back 12 years From the Pirates of The Caribbean A.C Crispin shines light on how Jack got to be who he was. 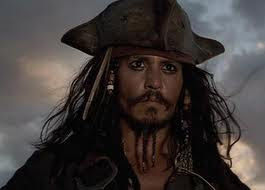 Jack Sparrow the legendary Pirate was not so legendary 12 years ago. After doing some frowned upon things He was pretty much exiled from his home and had to become a merchant captain for the East India Trading Company. While working for the EITC he runs into Cutler Beckett, who has an interesting job for him. Cutler want Jack to find the lost city of Kerma. Jack has heard of this magical island and accepts the position with great joy. With the help of his trusted first mate Robby Greene; Jack set out on his voyage to search for the long lost magical island of Kerma...And of course he runs into some women on the way but he never loses sight of his trusty compass and his favorite bottle of rum.